A historic flea market, infamous for its shady past, quirky characters and sales of stolen goods, faces the realities of its impending closure. 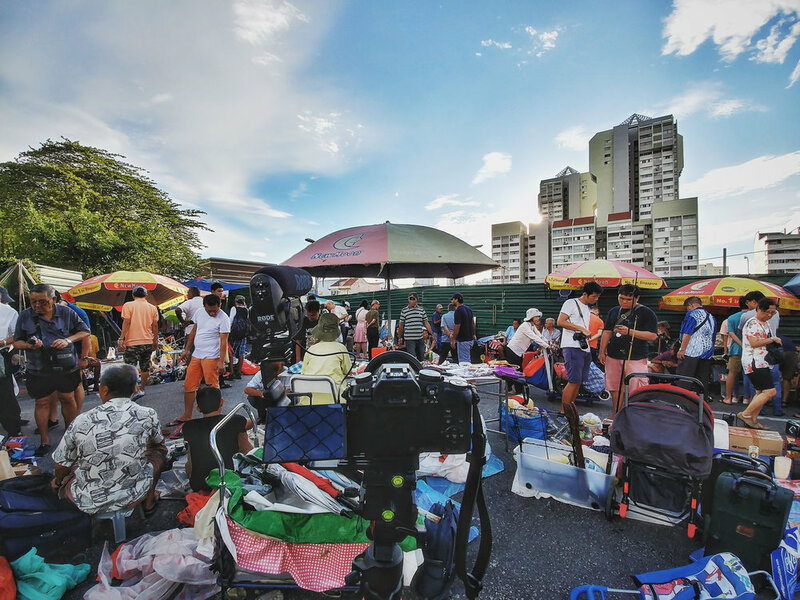 In 2017, the infamous Sungei Road Thieves Market, which predates the founding of Singapore by over 30 years, was forced to close and make way for the future. Its impending closure ignited dialogues about the value of heritage, heart for the disenfranchised, and sentimentality for history. In documenting its final days, this documentary also serves as a one-of-a-kind time capsule for future generations to experience the sun-baked streets of the Thieves Market, its characters and items galore. In March 2017, OKJ found himself yearning for an answer to a pragmatic question - should he continue to pursue his passion for documentary storytelling or give it up for something more "practical". OKJ had just completed his first documentary, The Conservation Conversation just a few months prior. The positive reception to the 19-minute environmental film did not rid OKJ's doubts on whether he had what it takes to be a great documentary storyteller. Simply pondering over it gave no satisfactory insights, but a new project might just be hold the answer. Just as he was faced with this crossroads of life, the imminent closure of the Thieves Market was beginning to gain public attention, bringing more hype to the place than ever before. The Thieves Market was a place that OKJ had visited frequently as a child, whose primary school was located just adjacent to it. Making a documentary about a subject that was once significant to him would later prove vital as he navigated the many possibilities in which to portray the market in his work. With school and other commitments to be dealt with, OKJ had far too little time to explore all aspects of the market - which has a history spanning over 80 years. The people are also complex, with access to film and interact gained only through sincere respect and patience. Fortunately, just as OKJ had a connection with the market, so to were his friends and relatives. Serendipity also played a role - A rainy afternoon provided the opportunity for Ah Ming and OKJ to mingle; while Francis approached OKJ after noticing his frequent appearances and his quirky camera set up. This ambitious project started out as a one-man show, a trial by fire that OKJ felt was necessary if he wanted to get a firm footing towards, what would be to him, the right direction. Following the completion of the shoot, it became apparent to him that there is great significance in what he had captured - a documentary that can act as a time capsule, a catalyst for dialogue and a reflection of society. As such, he sought out help during the post production stage in order to do justice to the stories. 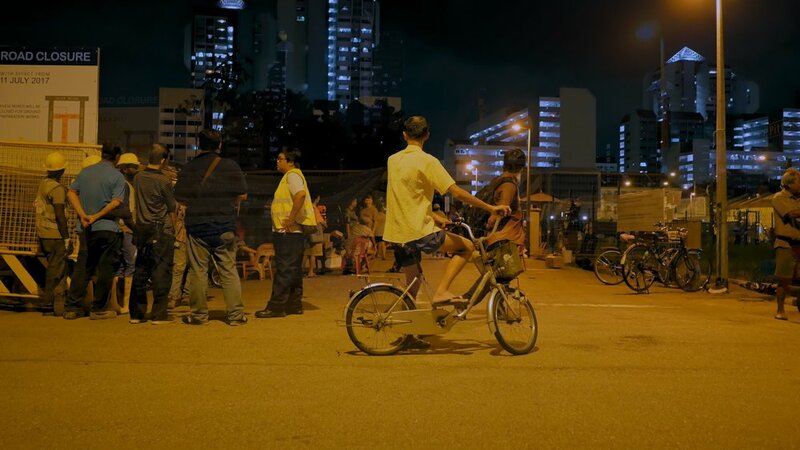 Trespass: Stories from Singapore's Thieves Market is a documentary from a millennial's perspective as he witnesses society's reactions to change, the exploration of the value of heritage and the piquing of one's curiosity of being in a historic, dynamic place that had now ceased to exist. With a lifetime of stories but only a few weeks left to document them, Trespass was produced with the recognition that not every aspect of the market can be showcased due to limited time and resources. However, while only a few aspects were explored in detail (i.e. heritage, value of place, generational differences), other aspects (e.g. wastefulness of society, the community as an ecosystem) were acknowledged in the form of easter eggs. The main story of Trespass developed organically through frequent interviews and off-camera conversations with a cast of five main characters that spread across the age spectrum and represents both the hawkers and patrons – two of the most relevant actors to this story. OKJ believed that having a diverse main cast would be productive in exploring the nuances of the issues explored in the Thieves Market’s closure. Visiting the Thieves Market is a favourite pastime of Francis Chowdhurie. Popping by every Sunday before attending church, the market had been a source of joy for him. Decades of patronage had resulted in a large collection of memorabilia, quirky items and handy craft – many of which are displayed proudly around his living room, while even more are stored away in boxes due to space constraint. Having frequently visited the Thieves Market as a child with his mother, Brendan Mayle Kor sought to revisit his childhood past when he learnt that the place was being closed. As an aspiring painter, he took this opportunity to develop his skills of painting portraits while paying homage to the people that make up this community. Making the painting process live and on site drew much attention from the community and the people about this millennial’s reaction. Helen Lai is one of the old guards of the Thieves Market. Furthermore, she used to stay in Sungei Road as her family owned a shophouse in the area. Initially working odd jobs from secretary to hotel receptionists in the late 1970s, she joined her sister in the trade and had been part of the community ever since. Ah Ming is a familiar face in the Thieves Market community. Even before taking up the trade full time, he had already gained experience during several stints as a kid. Ah Ming’s life is very much intertwined with the place of the Thieves Market, for it is here where he met his wife, who is a fellow hawker. A keen businessman, Ah Ming’s understanding of the market’s function as a middle ground for the under privileged to obtain the items that they cannot afford first hand enabled Ah Ming to run his business profitably. Jack Foo is the youngest amongst the hawker of the main cast, having been part of the community after the 2007 Financial Crisis. A businessman that had dabbled in several trades from water heaters to spare car parts, the once high-flying entrepreneur saw successes overseas in Malaysia and Indonesia. However, the financial crisis had hit Jack’s business hard, and he soon fell into debt. Not one to be fraught by failure, he took to the Thieves Market to begin his climb back up. OKJ is a documentary storyteller whose life had been greatly influenced by non-fiction films. Having explored the wonders of space and the inner workings of a factory from the comfort of his home, he hopes to create documentaries that intrigue people and provide a sense of "being there". He is most interested in enabling others to share their stories. OKJ was the recipient of the 2017 National Youth Film Awards as well as a nominated ASEAN Filmmaker of the Year at the 10th International KL Eco Film Festival for his first documentary, The Conservation Conversation. He is currently a student at NUS, majoring in Business (Marketing) and a third year student at Tembusu College. 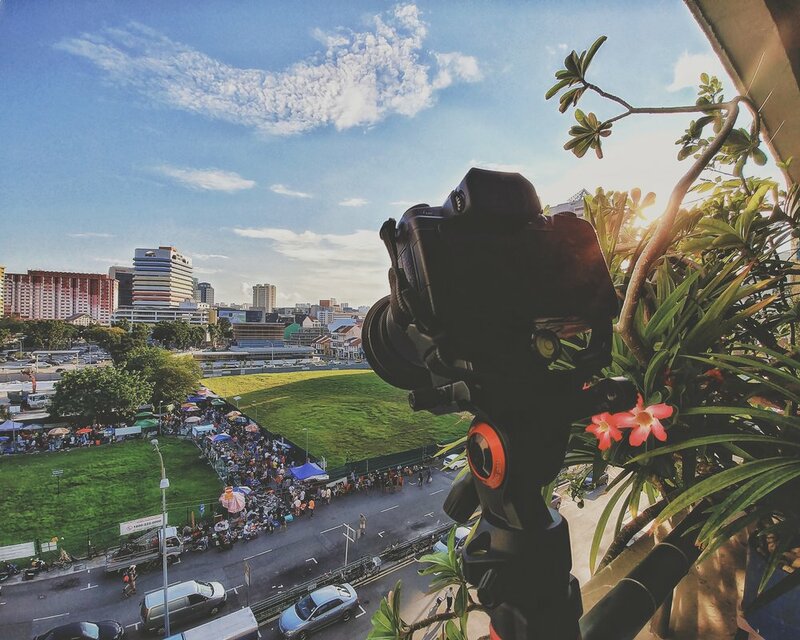 Eugene Seah is a Freelance Editor and Colourist based in Singapore. Since discovering the wonders of iMovie and Windows Movie Maker at age 13, Eugene has always wanted to put a smile on people’s faces - by making interesting videos for them to watch, laugh and cry at. Graduating from Ngee Ann Polytechnic's Diploma in Film, Sound & Video (FSV) in 2009, Eugene soon found his true calling as a video editor, and later, a colourist. After working for a number of local production companies such as No Average Joe and Freestate Productions for some years, Eugene decided to take the plunge into becoming a freelance editor and colourist. Since then, Eugene has edited and coloured a wide range of content, ranging from short-form TVCs, music videos, corporate films, narrative short films and action packed Red Bull YouTube videos, to long-form television documentaries, reality TV, and other non-fiction programming for local and regional channels. Eugene's greatest satisfaction lies in seeing the joy and delight on faces of people viewing his work. His dream is to cut and/or colour a memorable local feature film that can both entertain and inspire joy in Singaporeans. Sound is his paint and silence is his canvas. Having been involved in mixing, sound design and audio manipulation since 2009, Lijie has seen some of his works showcased in film festivals around the world. He is also always open to various forms of creative collaborations and interesting chats. Marilyn Neo is a Motion Graphics Artist from Singapore. With keen eyes and a curious mind, she is passionate about creating visually appealing content. In her free time, she time travels through her homemade pillow fort. Click here to download the images including poster, behind-the-scenes photos, film stills with accompanying captions. Please credit OKJ & Trespass: Stories from Singapore's Thieves Market.